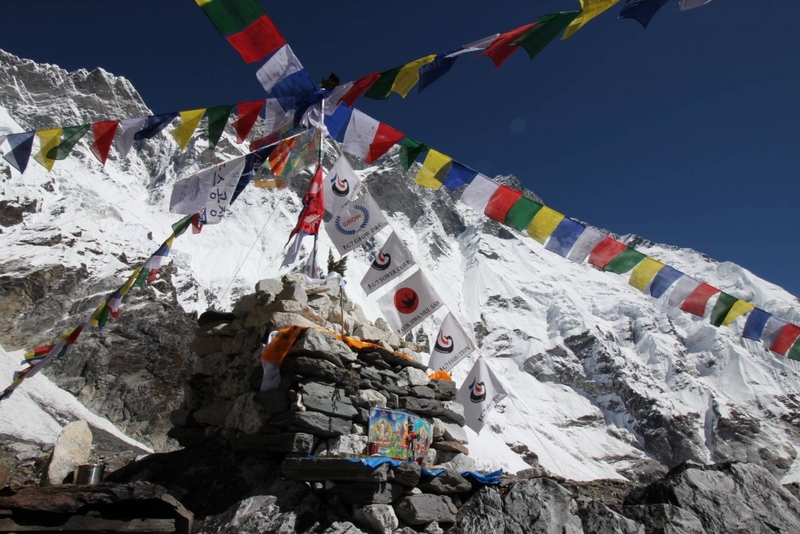 The goal of this expedition is the success of climbing to the top of the Lhotse Mt. 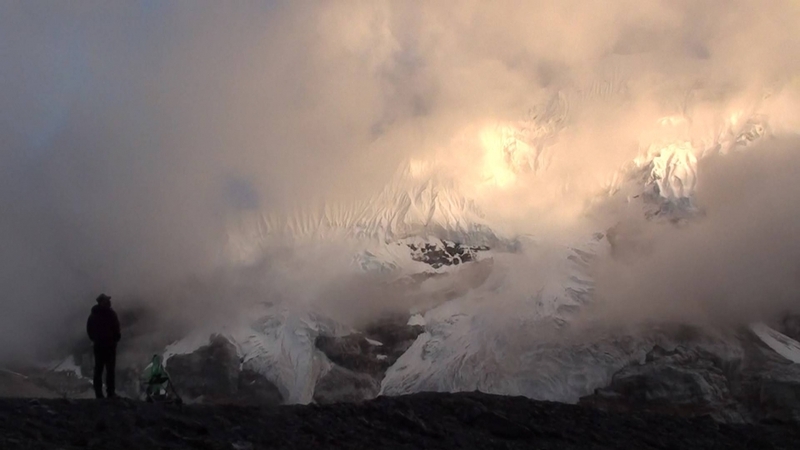 with the altitude of 8,516meter (27,940 foot) along its southern face (the modified Jerzy Kukuczka route). 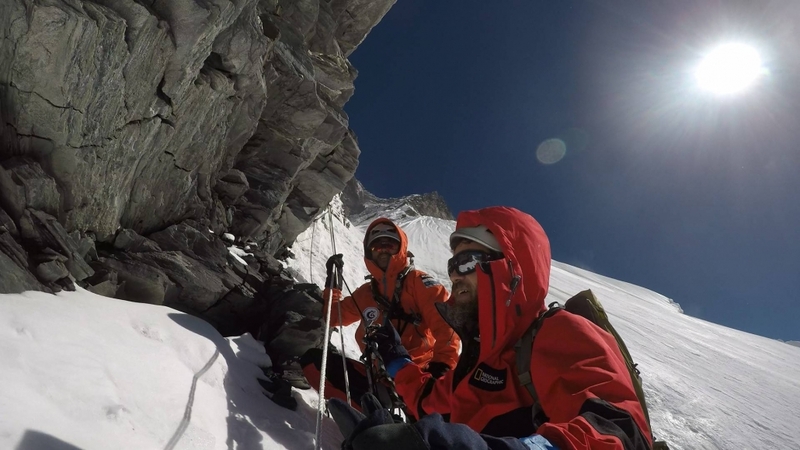 Based on teamwork and the spirit of Alpinism, Hong and his team mount a challenge to climb one of the most difficult and huge walls in the world. 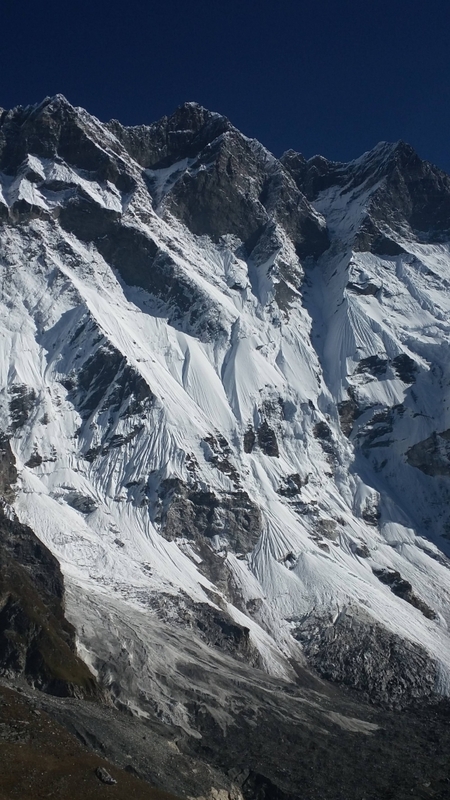 Lhotse south face is well known as the most difficult one for climbing. 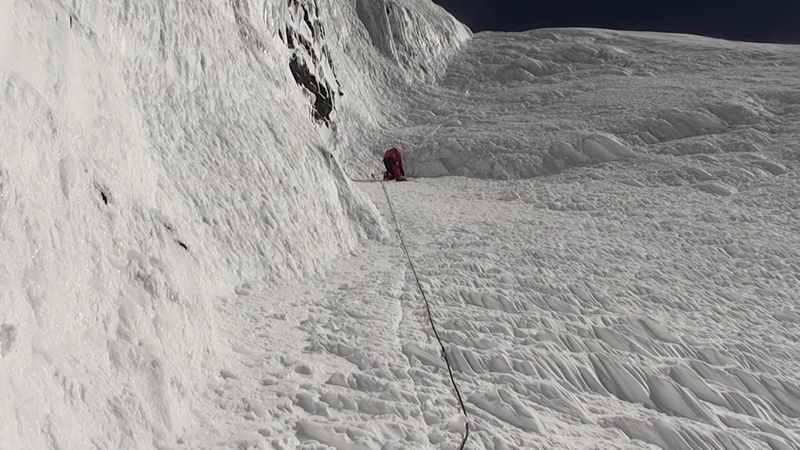 This requires ascending a 3,300meter (11,000 foot) wall of ice and rock that is vertical at times. 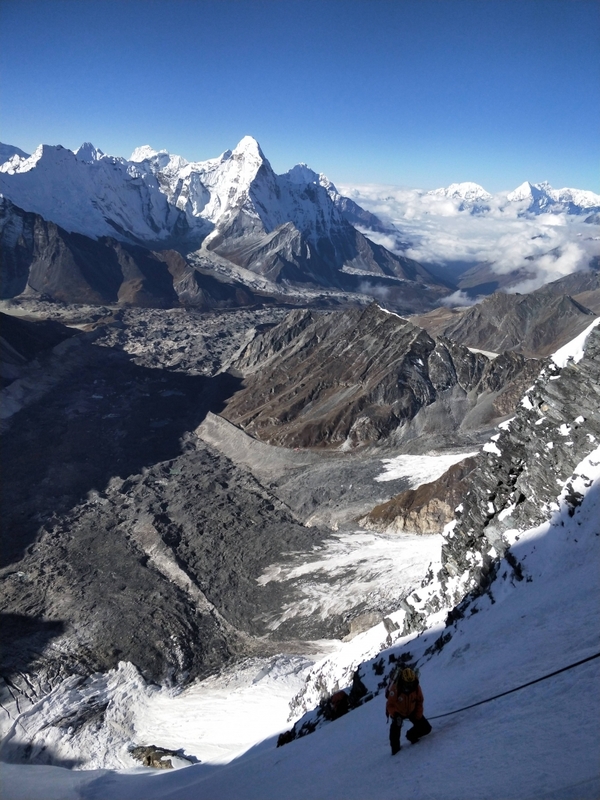 Many extraordinary mountaineers, for example, Reinhold Messner and Jerzy Kukuczka, attempted to succeed in climbing Lhotse Mt. But they experienced breakdown and even lost their lives. (Until now, there are only two records about succeed in reaching in 1990.) 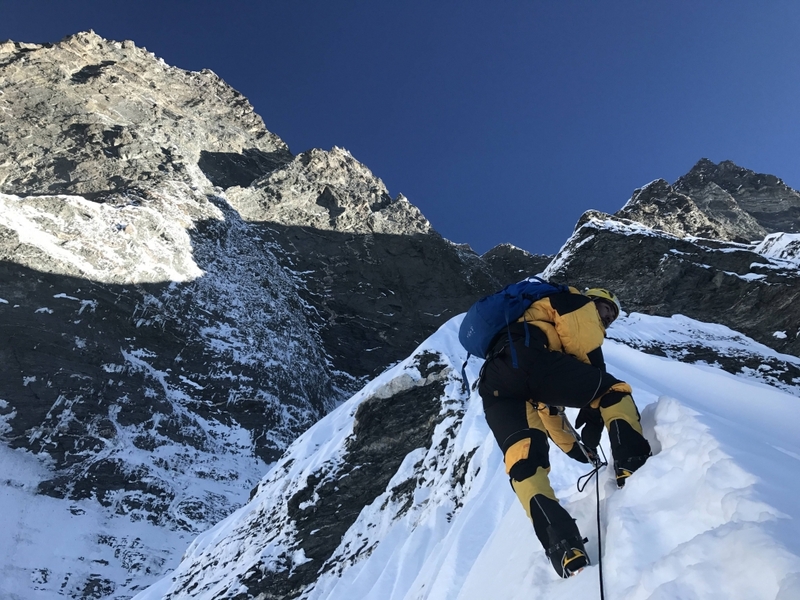 Hong sincerely desires to realize the spirit of Alpinism through pioneering a new route of Lhotse South Face, and challenge to the one of the most difficult goals of the climbing history. 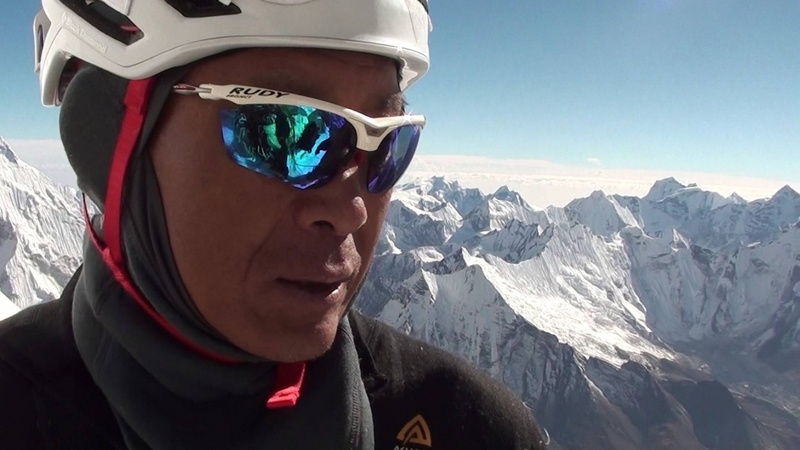 Hong and his team members who have advanced climbing techniques and numerous experiences intend to stand at the summit of Lhotse Mt. 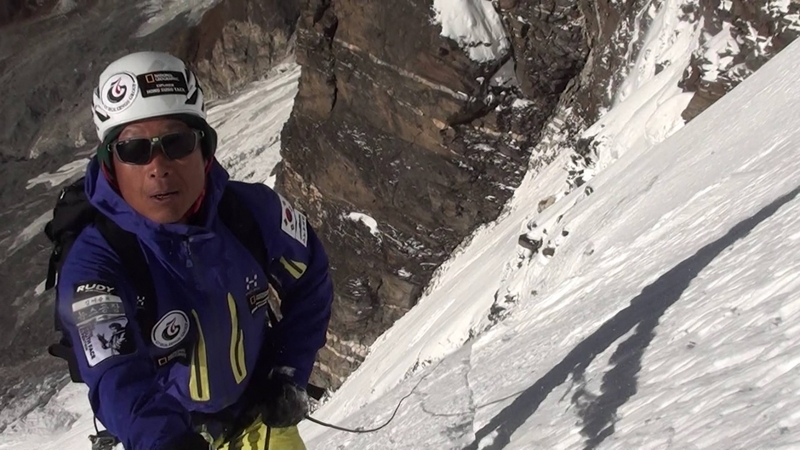 Lhotse South Face expedition team challenged to go summit of Lhotse by climbing the southern wall of Lhotse, Himalaya (8,516m, 27,939ft), which has 3,300m(10,826ft) of vertical wall. 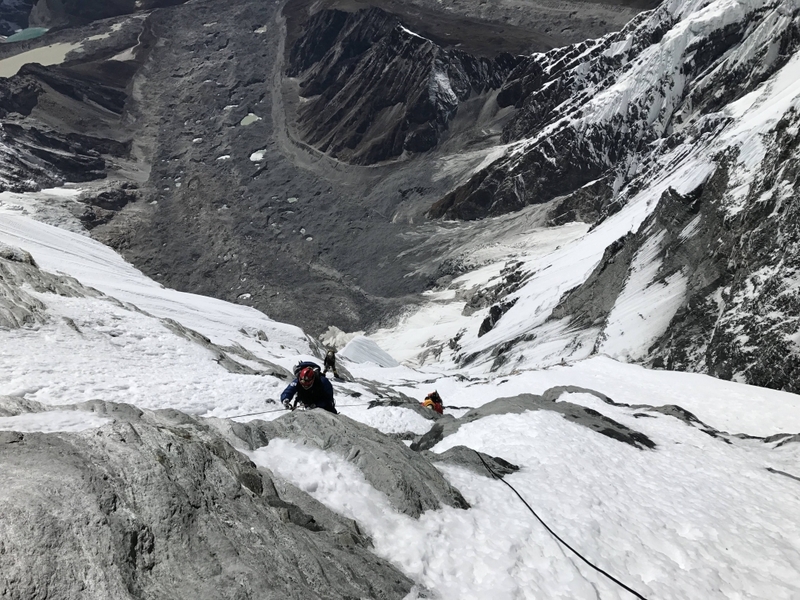 In 2017, Hong and his team reached above Camp 4 (8,350m, 27,395ft) after about 80 days from departure and about 60 days of climbing from base camp and tried to climb to the summit three times from Camp 4. 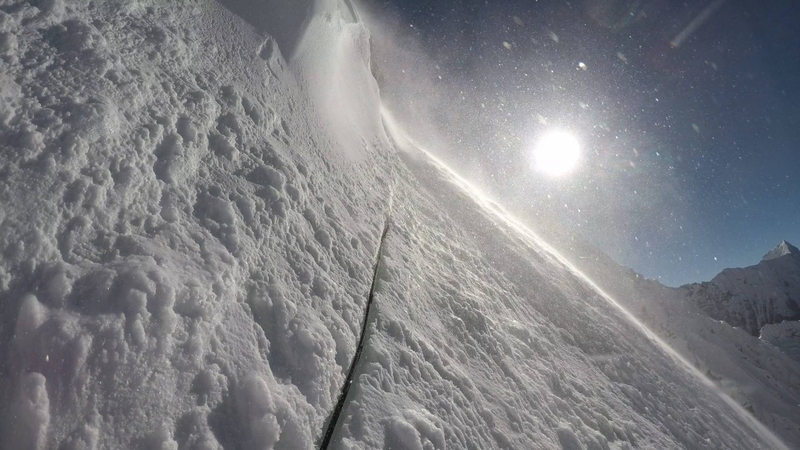 However, the wind blew too strongly and the temperature was too low, so they had to go down. 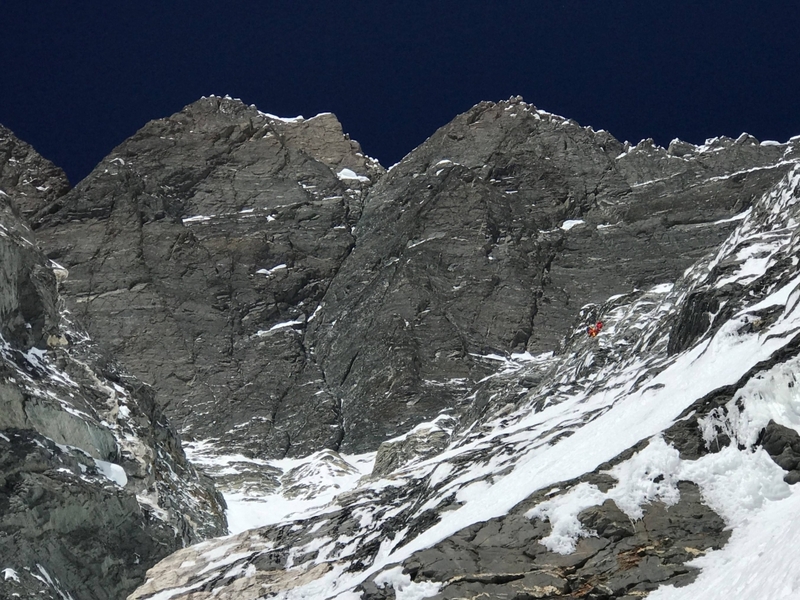 The weather was getting worse and worse as their summit climbing period changed from autumn to winter, and they had to withdraw, leaving the top 200 meters in consideration of the accident risk and the safety of the crews. 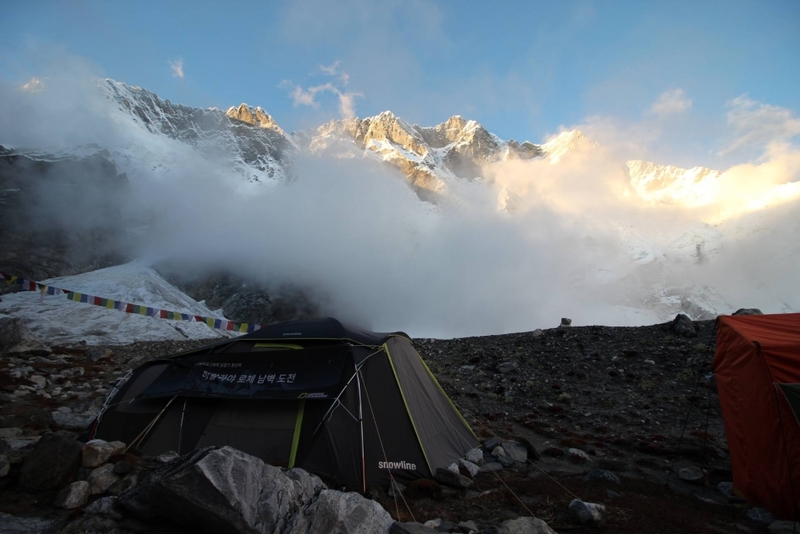 They had to deposit all the equipment needed for summit climbing at Camp 4 (8,250m) and waited for the last climbing. But they could not go up there and they even had to postpone the withdrawal of the equipment. 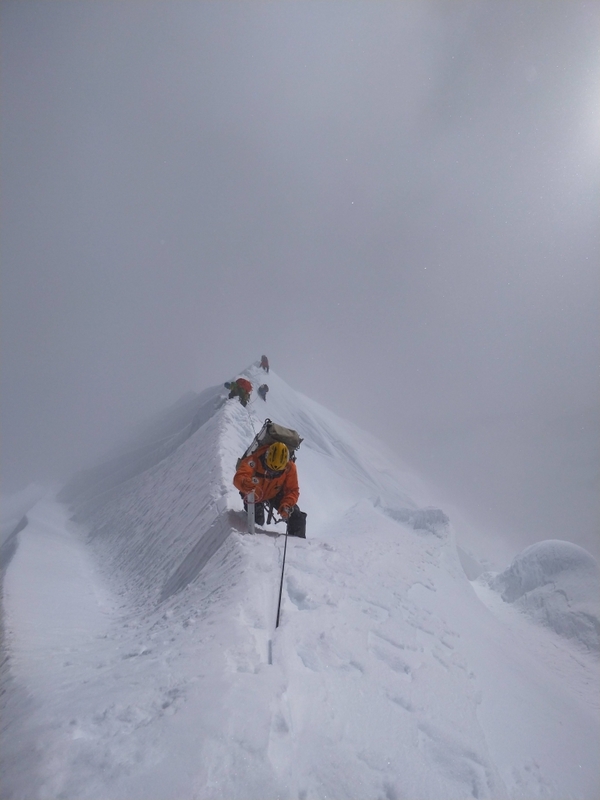 They didn’t want to have any sacrifice in the process of achieving the goal, although it is important to reach the summit. 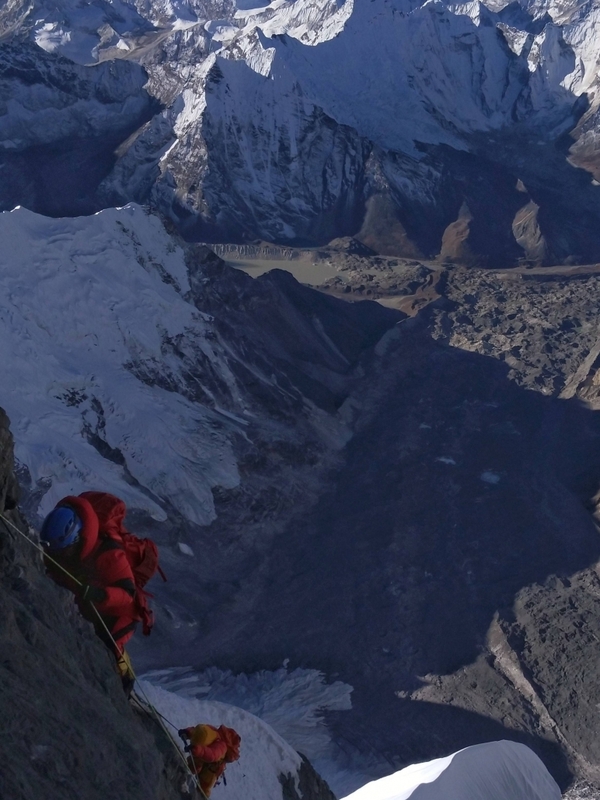 They took all necessary measures for safe climbing, aiming safety and accident-free climbing by arranging climbing schedule and method according to the weather and conditions of the mountain. As a result, none of the crew had an accident. 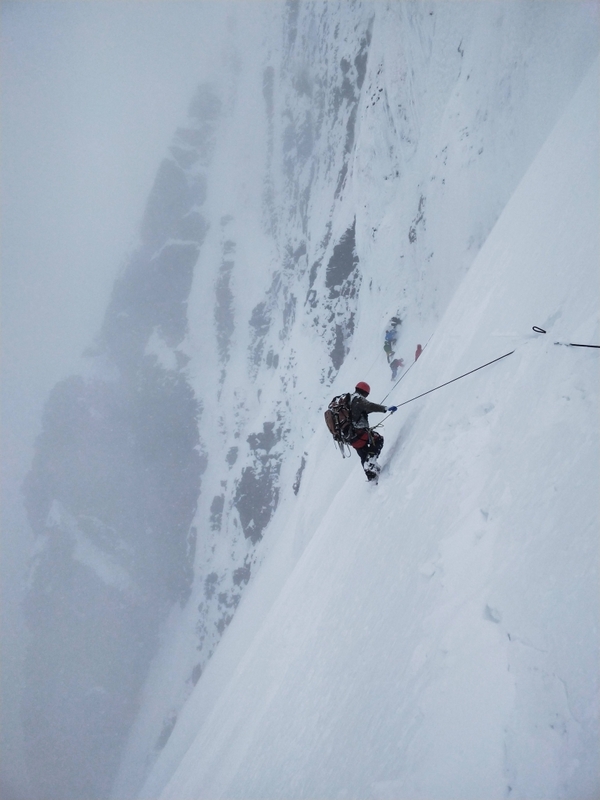 (There was a minor injury due to unexpected snow showers and rockfall, but it was not severe to hinder the climb.) 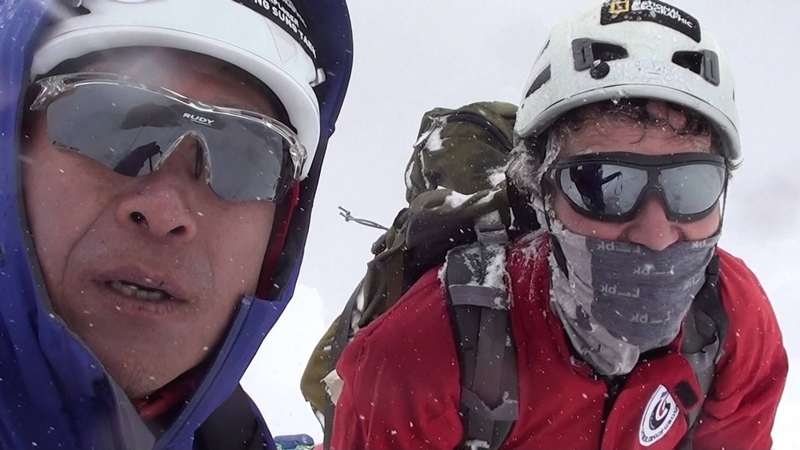 Lastly, Hong always said that “what not to succeed is not a failure; giving up of challenge is a failure”. 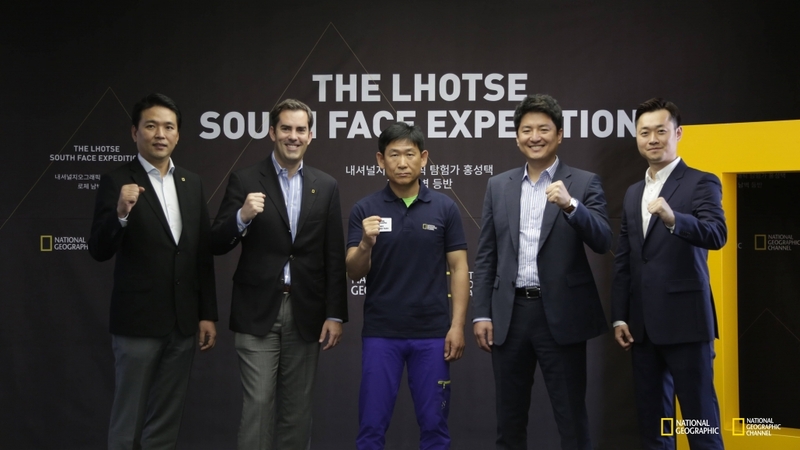 Thus, Hong and his team decided to issue a challenge in 2019. 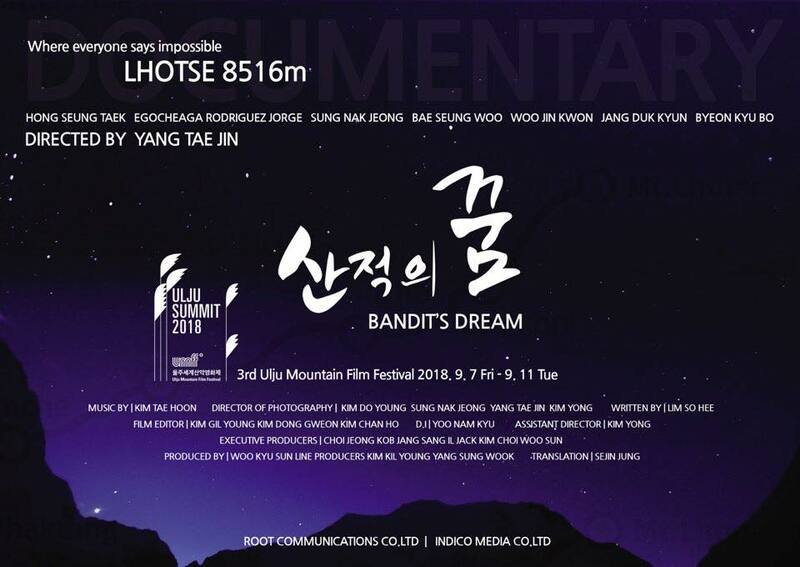 During their climbing, video production team for the Mountain Film Festival was with them and the film was released at Ulju Mountain Film Festival in September 2018.